Balance billing happens after you’ve paid your deductible, coinsurance or copayment and your insurance company has also paid everything it’s obligated to pay toward your medical bill. If there is still a balance owed on that bill and the doctor or hospital expects you to pay that balance, you’re being balance billed. Is Balance Billing Legal or Not? Sometimes it’s legal, and sometimes it isn’t; it depends on the circumstances and your state’s insurance laws. When you have Medicare and you’re using a health care provider that accepts Medicare assignment. When you have Medicaid and your health care provider has an agreement with Medicaid. When your doctor or hospital has a contract with your health plan and is billing you more than that contract allows. In each of these cases, the agreement between the health care provider and Medicare, Medicaid, or your insurance company includes a clause that prohibits balance billing. For example, when a hospital signs up with Medicare to see Medicare patients, it must agree to accept the Medicare negotiated rate, including your deductible and/or coinsurance payment, as payment in full. This is called accepting Medicare assignment. When you’re using a health care provider that doesn’t have a relationship or contract with your insurer, Medicare, or Medicaid. This is common in concierge medical practices, and it's also the case if you seek care outside of your health insurance plan's network. Your plan may cover some out-of-network costs, but the out-of-network provider is not obligated to accept your insurer's payment as payment in full; they can send you a bill for the remainder of the charges, even if it's more than your plan's out-of-network copay or deductible. When you’re getting services that aren’t covered by your health insurance policy, even if you’re getting those services from a provider that has a contract with your health plan. This situation is common for cosmetic procedures that aren’t medically necessary. In this case, you’ll be responsible for the entire bill. Since health insurance is regulated by each state, a state’s laws can impact whether and when balance billing is legal. Some states have specific laws about balance billing that differ from the basic principles above. Learn more about state laws on balance billing from the Kaiser Family Foundation. When you get care from a doctor, hospital, or other health care provider that isn’t part of your insurer’s provider network (or, if you have Medicare, from a provider that has opted out of Medicare, which is rare but does apply in some cases), that health care provider can charge you whatever he or she wants to charge you. Since your insurance company hasn’t negotiated any rates with that provider, he or she isn't bound by a contract with your health plan. If your health insurance company agrees to pay a percentage of your out-of-network care, the health plan doesn’t pay a percentage of what’s actually billed. Instead, it pays a percentage of what it says should have been billed, otherwise known as a reasonable and customary amount. As you might guess, the reasonable and customary amount is usually lower than the amount you’re actually billed. The balance bill comes from the gap between what your insurer says is reasonable and customary, and what the doctor or hospital actually charges. When Does Balance Billing Happen? In the United States, balance billing usually happens when you get care from a doctor or hospital that isn’t part of your health insurance company’s provider network or doesn’t accept Medicare payment as payment in full. If you have Medicare and your doctor has opted out of Medicare entirely, you're responsible for paying the entire bill yourself. But if your doctor hasn't opted out but just doesn't accept assignment with Medicare (ie, doesn't accept the amount Medicare pays as payment in full), you could be balance billed up to 15 percent more than Medicare's allowable charge, in addition to your regular deductible and/or coinsurance payment. Services received from a provider chosen by someone else. This can happen when you have a pap smear or a biopsy done in your doctor’s office, or blood drawn by your home health nurse. If your doctor or nurse sends the specimen to an out-of-network lab, that lab can balance bill you. Arizona enacted Senate Bill 1441 in 2017. It will take effect in 2019, and will allow patients who receive a surprise balance bill (from an out-of-network provider who performed services at an in-network facility) of $1,000 or more to seek arbitration. The arbitration process will ultimately resolve the issue between the medical provider and the insurance company, thus absolving the patient of responsibility for the balance bill. New York has protected patients from surprise balance billing since 2015. California enacted AB72 in 2016; it applies to plans issued or renewed on or after July 1, 2017, and prevents patients from having to pay out-of-network charges for care received at in-network facilities. Florida enacted HB221 in 2016. The legislation protects patients from surprise balance billing in emergency situations and in situations where the patient seeks care at an in-network facility and is then treated—without another option—by an out-of-network provider within the facility. Montana has enacted a series of bills to protect patients from balance billing from air ambulance providers. Tennessee enacted SB1869 in 2018. The legislation requires medical facilities to disclose to patients, in writing and prior to treatment, if any of the medical providers at the facility are out-of-network with the patient's insurance. And out-of-network insurers working at a facility that's in-network with the patient's insurance cannot balance bill the patient unless they have also provided written disclosure to the patient about the lack of in-network insurance coverage for their services. Maryland, Illinois, and Connecticut also have regulations protecting consumers from surprise balance billing. Numerous other states have partial protections in place. Balance billing doesn’t usually happen with in-network providers or providers that accept Medicare assignment because, if they balance bill you, they’re violating the terms of their contract with your insurer or Medicare. They could lose the contract, face fines, suffer severe penalties, and even face criminal charges in some cases. An exception to this occurs when you’re using an in-network provider, but you’re getting a service that isn’t covered by your health insurance. Since an insurer doesn’t negotiate rates for services it doesn’t cover, you’re not protected by that insurer-negotiated discount. The provider can charge whatever he or she wishes, and you’re responsible for the entire bill. Receiving a balance bill is a stressful experience, especially if you weren't expecting it. You've already paid your deductible and coinsurance and then you receive a substantial additional bill—what do you do next? First, you'll want to try to figure out whether the balance bill is legal or not. If the medical provider is in-network with your insurance company, or you have Medicare or Medicaid and your provider accepts that coverage, it's possible that the balance bill was a mistake (or, in rare cases, outright fraud). If you think that the balance bill was an error, contact the medical provider's billing office and ask questions. Keep a record of what they tell you, so that you can appeal to your state's insurance department if necessary. If the medical provider's office clarifies that the balance bill was not an error and that you do indeed owe the money, consider the situation—did you make a mistake and select an out-of-network doctor when you meant to pick one in your insurer's network, or did you go to an in-network facility and then, unbeknownst to you, end up receiving care from a provider who isn't in your insurer's network? If you went to an in-network facility but ended up inadvertently receiving care from an out-of-network provider who works there, contact your state's insurance department to see if there are any consumer protections in place in your state for situations like that. Your state may have rules that require the facility and/or the provider to have notified you of the potential out-of-network charges before you received treatment. If not, you may not be able to avoid the balance bill, but you may still be able to reduce it. Similarly, if you opted to go to an out-of-network provider, there's not really any way around the fact that you're going to have to pay the balance bill—but you might be able to pay less than you're being billed. If you've received a legitimate balance bill, you can ask the medical office to cut you some slack. They may be willing to agree to a payment plan and not send your bill to collections as long as you continue to make payments. Or they may be willing to reduce your total bill if you agree to pay a certain amount upfront. Be respectful and polite, but explain that the bill caught you off guard, and if it's causing you significant financial hardship, explain that too. The doctor's office would rather receive at least a portion of the billed amount rather than having to wait while the bill is sent to collections, so the sooner you reach out to them, the better. You can also negotiate with your insurer. 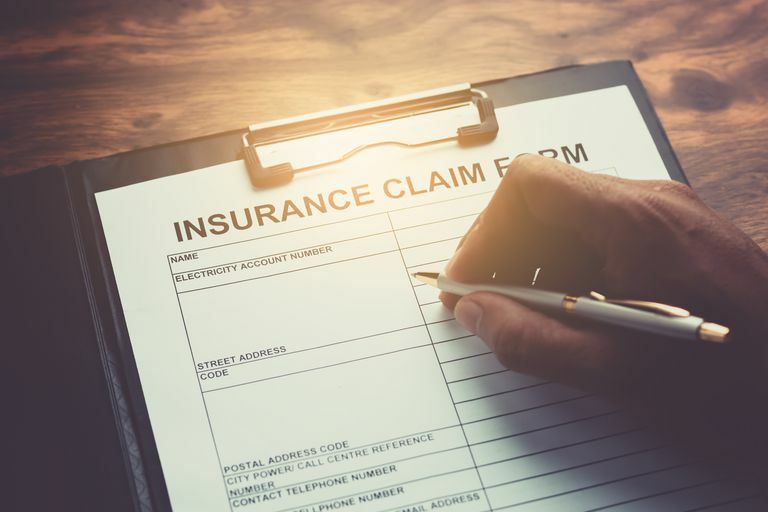 If your insurer has already paid the out-of-network rate on the reasonable and customary charge, you’ll have difficulty filing a formal appeal since the insurer didn’t actually deny your claim. It paid your claim, but at the out-of-network rate. Instead, request a reconsideration. You want your insurance company to reconsider the decision to cover this as out-of-network care, and instead cover it as in-network care. You’ll have more luck with this approach if you had a compelling medical or logistical reason for choosing an out-of-network provider. If you feel like you’ve been treated unfairly by your insurance company, follow your health plan’s internal complaint resolution process. You can get information about your insurer’s complaint resolution process in your benefits handbook or from your human resources department. If this doesn’t resolve the problem, you can complain to your state’s insurance department. Find contact information for your Department of Insurance by clicking your state on this map. If your health plan is self-funded, meaning your employer is the entity actually paying the medical bills even though an insurance company may administer the plan, then your health plan may not fall under the jurisdiction of your state’s department of insurance. Self-funded plans usually fall under the jurisdiction of the Department of Labor’s Employee Benefit Services Administration. Get more information from the EBSA’s consumer assistance web page or by calling an EBSA benefits advisor at 1-866-444-3272. First, try to prevent balance billing by staying in-network and making sure your insurance company covers the services you’re getting. If you’re having x-rays, MRIs, CT scans, or PET scans, make sure both the imaging facility and the radiologist who will read your scan are in-network. If you’re planning to have surgery, ask whether the anesthesiologists are in-network. If you're going to have knee surgery, ask whether the supplier that provides the crutches and knee brace is in your insurance network. If you know in advance that you’ll be using an out-of-network provider or a provider that doesn’t accept Medicare assignment, you have some options. However, none of them are easy and all require some negotiating. Ask for an estimate of the provider’s charges. Next, ask your insurer what they consider the reasonable and customary charge for this service to be. Getting an answer to this might be tough, but be persistent. Once you have estimates of what your provider will charge and what your insurance company will pay, you’ll know how far apart the numbers are and what your financial risk is. With this information, you can narrow the gap. There are only two ways to do this: get your provider to charge less or get your insurer to pay more. Ask the provider if he or she will accept your insurance company’s reasonable and customary rate as payment in full. If so, get the agreement in writing, including a no-balance-billing clause. If your provider won’t accept the reasonable and customary rate as payment in full, start working on your insurer. Ask your insurer to increase the amount they’re calling reasonable and customary for this particular case. Present a convincing argument by pointing out why your case is more complicated, difficult, or time-consuming to treat than the average case the insurer bases its reasonable and customary charge on. Another option is to ask your insurer to negotiate a single-case contract with your out-of-network provider for this specific service. A single-case contract is more likely to be approved if the provider is offering specialized services that aren't available from locally-available in-network providers, or if the provider can make a case to the insurer that the services they're providing will end up being less expensive in the long-run for the insurance company. Sometimes they can agree upon a single-case contract for the amount your insurer usually pays its in-network providers. Sometimes they’ll agree on a single-case contract at the discount rate your doctor accepts from the insurance companies she’s already in-network with. Or, sometimes they can agree on a single-case contract for a percentage of the provider’s billed charges. Whatever the agreement, make sure it includes a no-balance-billing clause. If all of these options fail, you can ask your insurer to cover this out-of-network care using your in-network coinsurance rate. While this won’t prevent balance billing, at least your insurer will be paying a higher percentage of the bill since your coinsurance for in-network care is lower than for out-of-network care. If you pursue this option, have a convincing argument as to why the insurer should treat this as in-network. For example, there are no local in-network surgeons experienced in your particular surgical procedure, or the complication rates of the in-network surgeons are significantly higher than those of your out-of-network surgeon. National Conference of State Legislatures. States Tackling "Balance Billing" Issue. July 2017. United States Department of Labor. Employee Retirement Income Security Act. Late Paying Your COBRA Health Insurance Premium? What Now? Why Does My Health Insurer Deny the Care My Doctor Recommends?